IFRS 9 vs. US GAAP – Coming Closer? We all know that IASB and US standard’s setting body FASB work together in order to prepare a single set of global accounting standards. Recently issued standard on revenue recognition, IFRS 15 and its American counterpart FAS 606 are a good example of these mutual efforts. On the other hand, these two bodies are not that successful when it comes to financial instruments. IASB worked on new financial instruments’ standard IFRS 9 for some time, but it seems that in this area, the differences between US GAAP and IFRS increased. In other words – we are far away from a globally accepted standard on financial instruments. 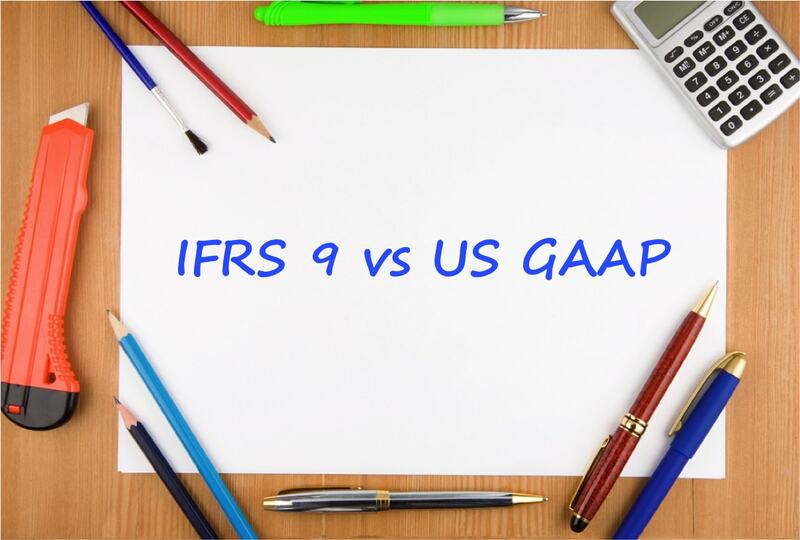 In this article, Mr. Wang Jun Spark outlines the main differences between IFRS 9 and US GAAP rules for financial instruments. Enjoy! Despite the joint efforts by the IASB and FASB to work out a single set of globally accepted accounting standards for financial instruments, the differences between the USGAAP and IFRS 9 regarding this area will be wider after 2018 due to the failure to reconcile positions of the two boards. As indicated by two US Accounting Standard Updates, ASU 2016-1 Financial Instruments—Overall (Subtopic 825-10), published in January 2016 regarding the measurement and classification, and ASU 2016-13 Financial Instruments—Credit Losses (Topic 326), published in July 2016 for impairment loss, the FASB is very prudential to make changes when being compared with the IASB. Though there are still some differences in the current or future versions of the two systems regarding the derivatives and hedge accounting, the classification and impairment will be more important topics. Please note that there are more than one accounting standards by FASB for the financial assets, such as ASC 310 for Loan Receivables , ASC 320 for Debt securities, and ASC 815 for Derivatives and Hedge, etc. The legal form together with the intent and ability will still be determining conditions under the current and future USGAAP for classification, while the IFRS 9 categorization effective since 2018 will be based on the new criteria, namely financial instruments’ contractual cash flows and the business model. Under the new methodology after the ASU 2016-01, the previous AFS equity securities will initially be booked as at fair value and then the subsequent changes in fair value will be charged to profit or loss (FVPL). However, if the fair value is not readily available, it should be booked at cost and subject to possible impairment loss by using quantitative and qualitative methods. For equity instruments: if the fair value option is not exercised, the equity instrument will be booked at fair value with subsequent changes in PL (FVPL); otherwise, the subsequent changes of FV would be booked in the Other Comprehensive Income (FVOCI) by using the FVO for non-trading equity assets. For other financial assets: the contractual cash flow type (SPPI, and Non-SPPI) together with the business model (held for trading, collecting principal and interest, or both) will determine the financial assets’ classification and measurement. The SPPI means the contractual terms of the financial asset give rise on specified dates to cash flows that are solely payments of principal and interest on the principal amount outstanding ( IFRS 9, 4.1.2 (b)). Held for both collecting and trading is measured at FVOCI (Fair Value through Other Comprehensive Income). Finally, the FVPL method is used for the subsequent measurement of all other instruments: trading, equity not as at fair value option, hybrid instruments, and non-equity instruments designated at fair value. Under both updated standards, fair value gain or loss caused by changes in the reporting entity as the issuer’s own credit rating should be booked in the OCI, rather than the net income. Though both IASB and FASB introduced their own expected loss models to replace current incurred loss approach, the impact on the financial reporting, operating, and credit risk management caused by differences in the respective credit loss models will be more significant. Both the US and IFRS credit impairment models require accruing the lifetime expected loss. Unlike the ECL (Expected Credit Loss) model of IFRS 9 requiring three-stage-identification of credit risk. Which model is easier for implementation depends on many issues. The third stage is for impaired assets. At the first stage, only the default events within next one year are taken into account to calculate the expected impairment loss. With higher credit risk, the expected losses will be based on the lifetime default events, covering both phase two and phase three, where the former is for significant increase in credit risk and the latter should be supported by impairment evidence. Another difference between the last two phases of ECL model is the way to accrue Interest income. The interest of the second phase is based on the gross amount of the credit assets, while the third phase interest income is based on the net value after deducting the impairment loss. Next, the scope of the US credit loss model is narrower than that of the IFRS by excluding the AFS debt securities. When the amortized cost is lower than the fair value of AFS debt securities, the difference would be booked as the impairment loss under the USGAAP without using expected loss model, while IFRS 9 applies the ECL model to the FVOCI debt assets. Thirdly, the minimum loss amount of the expected loss is different because the USGAAP permits nil loss for certain highest grade credit asset, while IFRS 9 requires weighted average outcome with the minimum loss amount that must be greater than zero. At last, the initial provision for POCI (Purchased or Originated Credit Impaired Assets) under USGAAP should be estimated and added up to the initial fair value of the impaired assets while the IFRS 9 requires only zero initial provision. Latest updates in the measurement and impairment loss of financial instruments will widen the gaps between these two systems after the effectiveness of the new versions. That is, many common features in classification and impairment loss now shared by current effective standards, IAS 39 and relevant USGAAP prior to the ASU 2016-1 and ASU 2016-13 will be removed in the future due to the changes in both sides, where the IASB’s update is more drastic. Entities with global operation or international funding requirements should check the reporting requirements, both domestic and overseas in different regions. Especially, whether it is subject to both IFRS and USGAAP or not. For some reporting entities with complicated structures, the solution varies from single choice of USGAAP or IFRS, or reconciliation from one to the other, or parallel run of both standards. Mr. 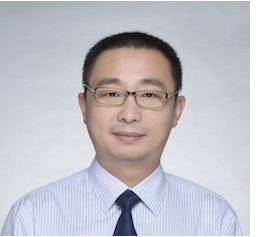 Spark, WANG Jun is a Senior Regulatory Intelligence Expert for Wolters Kluwer Financial Services with more ten years of professional experiences. Spark has deep insight in financial accounting, IFRS 9 Financial Instruments, regulatory reporting, risk management, and the China banking industry. His expertise also includes Basel III reporting, Capital Adequacy Ratio, Liquidity and Funding Risk. Spark is a CICPA (China Institute of Certified Public Accountants), FCCA (fellow of the Chartered Association of Certified Accountants), CMA (Certified Management Accountant), and a panel of the Expert committee of ESNAI (Electronic Shanghai National Accounting Institute). Would you like to ask something or add your own remarks to Spark’s article? Please leave a comment right below. Thank you! Under IFRS 9/ASU 2016, how we will assess provision for doubtful debts unlike present % assessment as provision? any steps to follow? please advise. Hi Amulya, do you mean the way to estimate bad debt provision by using the expected loss model under IFRS 9 and USGAAP. I guess currently some banks still accrue the provision by the five grading approach, 2% for SM, 25% for substandard, 50% for doubtful and 100% for loss. But the percentage approach is inconsistent with the accounting standards. Under the new accounting standard, there are only principles for the expected loss without specific methodology prescribed. So, you can use the aging, loss rate, PD and LGD approach, ect., up to many factors, such as the size of your portfolio, data quality, and the sophistication of the credit model. Thanks for the post. Aren’t there any other risks which affect banking industry activities especially Federal Reserve Banks and Central banks; aside credit risk? How should such be recognized in relation to IFRS. Expecting your reply. Thank you. Thank you, Spark, for your comprehensive answer 🙂 Just to add a bit – you can read this article for more information on banking risks. S.
The regulators, including the central bank and banking regulatory bodies, have imposed full sets of regulations to address the risk management of banking industry. Besides the credit risk, there are also market risk, operational risk, and liquidity risk under the Basel III framework. As I know, the accounting is mainly emphasizing on the on-balance-sheet part, which is the fair value gain or loss by IFRS 9. Other parts of the risk management, such as the liquidity gap, foreign exchange, and interest mismatch, are mainly required by the IFRS 7. So, banks also made very long management discussion and disclosure in the annual report for the risk management efforts and how they calculate the risk weighted assets.